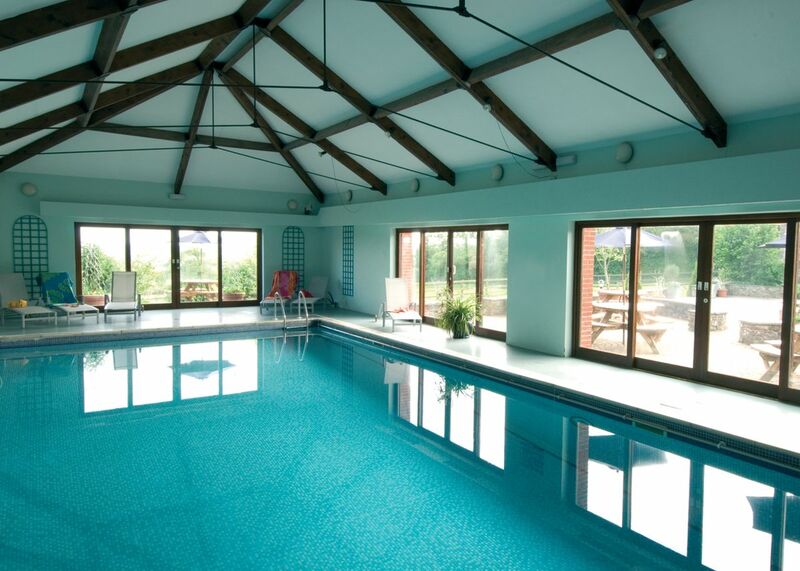 Bealy Court’s eight delightful holiday cottages sit in 25 acres of stunningly beautiful Devonshire countryside, with breathtaking views and within easy reach of the family friendly beaches of Saunton Sands on the North Devon coast as well as Exmoor and Dartmoor. 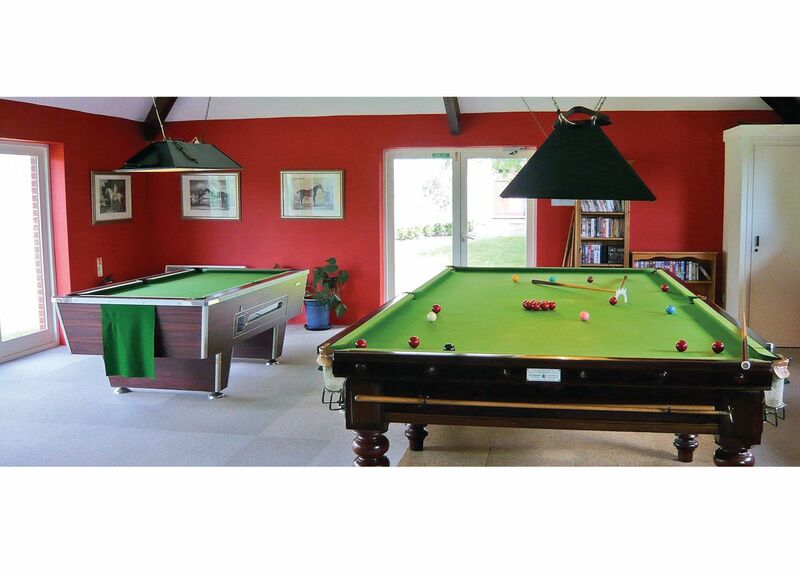 Perfect for family holidays all year round, Bealy Court offers a large indoor swimming pool, an LTA standard tennis court, croquet lawn, games room with wi-fi, full size snooker table, pool table and air hockey, and two coarse fishing lakes (visitors will need to bring their own rods). The setting is secluded and tranquil, the lovely stone cottages – formerly a range of barns cluster around a very pretty, landscaped courtyard with glorious views to the distant hills of Dartmoor. 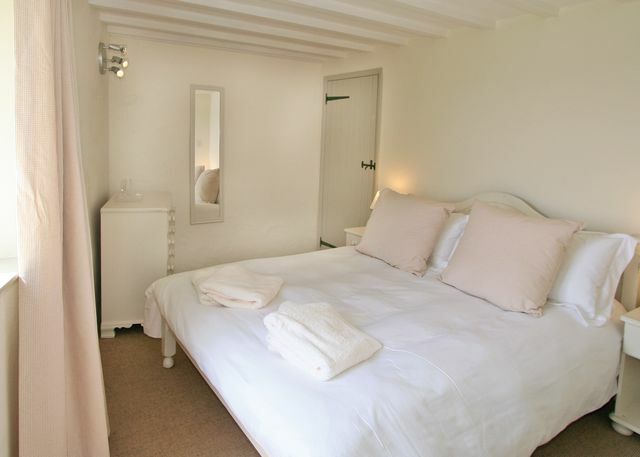 The cottages have been stylishly converted to create a wonderfully contemporary feel. Each cottage boasts a high degree of individual character, with original features such as oak roof timbers, stone walls and beams all carefully preserved. All of them enjoy elegant décor, wood burning stoves and flat screen LCD or plasma TVs. The roundhouse is particularly unique, offering round, beamed single storey accommodation with a contemporary feel. Bealy Court is an ideal touring base, with the wilds of Exmoor and Dartmoor close by and the golden beaches of the North Devon coast a comfortable drive away. Tiverton, sea fishing at Ilfracombe, and go-karting, ten pin bowling and cycle hire at Barnstaple are all easily accessible, as are Knightshayes Court and Killerton (both National Trust Properties). Horse riding is found locally and Chulmleigh (4 miles) offers good pubs and restaurants, several shops, a post office and a par 3 golf course. The nearest main shopping centres are at Barnstaple and South Molton, which is also a renowned centre for antiques. This is one of our favourite local country pubs and restaurants! They have a wonderful menu of locally sourced food. A good range of both specials and what you would call normal pub food. You must try their Fillet Steak, it?s one of the best I have ever had! The staff are very friendly and helpful and there is a lovely relaxed atmosphere. This pub is both children and dog friendly. They also have a restaurant where you can order from a separate, more refined menu. 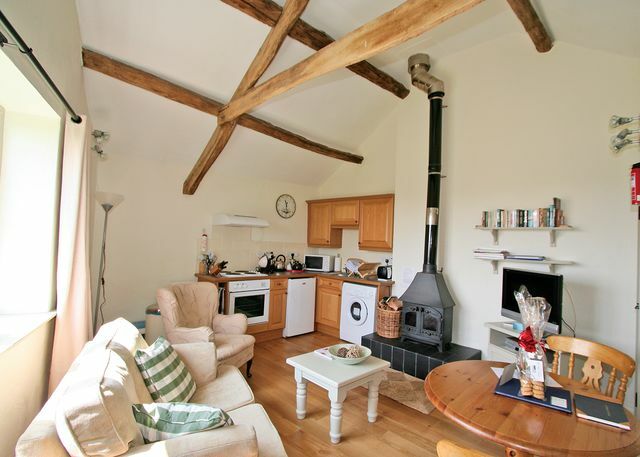 Quantock Trekking is located in the charming and historic village of West Bagborough. It is in an idyllic setting with 50 acres of glorious moorlands on the doorstep and has been classified as an Area of Outstanding Beauty. The staff are so friendly, attentive and professional and will put the most nervous rider at ease so that they can enjoy the whole experience. The horses are all rescue horses and are fantastic there is one to suit everyone and they are very gentle, patient and well behaved. All equipment is provided so it is not necessary to take anything along. Whatever trekking route you take you will see the most stunning scenery in the Quannock Hills and surrounding beautiful countryside. You will get the opportunity to canter and gallop during your ride. There is a choice of either two or three hour rides available as well riding holidays, but, you will need to have ridden before and have basic riding skills for these. Quantock Trekking offers a fantastic way to see the countryside and is highly recommended to everyone you will thoroughly enjoy the experience. Exmouth Beach is a wide golden sandy beach offering lots of space for fun, it is a lovely traditional English beach. Ideally located in the town, the beach is clean and well maintained and has a lifeguard during the summer months. There is plenty of activities on offer here with swimming, fishing, jet skiing, surfing, windsurfing, kite surfing, sailing and boat trips and then you can build sand castles, splash in the water, clamber on the rocks, search the rock pools, or just run along the beach, or even just relax in a deck chair. There is a wide promenade behind the beach that has a good range of shops, restaurants and pubs. You will find parking along the road or there are carparks located nearby. Exmouth Beach offers a traditional beach experience and is perfect for families who can benefit from the two miles of golden sand as well as it being safe and clean, with many amenities nearby and it never feels too busy. Salcombe Hill Walk is an enjoyable 4.7 mile walk that takes in some stunning and spectacular landscapes. This circular walk is classified as moderate and will accommodate most people although there are some steep inclines, the routes are well sign posted. The walk commences up in Salcombe Hill and you descend down through woodland until you come to the path that takes you along the River Sid and along to the seafront. You then continue your walk along to the sea and into the town. The Alma Bridge dates to the 19th century takes you to the cliff-path that meanders up the hill, to the steep red cliffs that overlook this beautiful landscape. From here you can enjoy panoramic views out over Lyme Bay and the renowned cliffs of the Jurassic Coast and enjoy the peace and tranquillity of the area. The walk are open to dogs and are something that the whole family can enjoy. If you take this walk early in the morning you can enjoy the stunning sunrise's. There are some attractions to see along the way including the old church and plenty of opportunities for blackberry picking if you visit at that time of the year, and in the spring the bluebells are beautiful. Put on comfortable shoes and take yourself along to the Salcombe Hill Walk you will not be disappointed as the walk is beautiful regardless of the time of year. Exe Wake are located amongst some of the most stunning scenery in Exmouth, along the Jurassic coast. They can be found floating on the River Exe Estuary, alongside the River Exe Cafe, it is a unique location and you are brought here by a Rib-Boat. The staff here are great really friendly, have a real passion for what they do, are qualified and above all totally professional at all times. They offer lessons to both beginners and those with experience of wake boarding, as well as wake boarder tows, ringo and banana boat rides that are great fun and all ages and abilities can have a go and also can arrange skippered boat hire. They provide all the latest equipment which is in excellent condition, wetsuits and life jackets and ensure that each lesson is maximised so that you get the most out of your time on the water. It is a fun and exhilarating sport and nothing feels better than standing on your board and then progressing to being towed along the water. Exe Wake are the premier wake boarding instructors in Devon and it is clearly evident why, their instruction is first class, fun with lots of encouragement and plenty of instructions to get you going, and really well priced too. Highly recommended if you are in the area and want to try out some fun and exhilarating water sports with family or friends. Jurassic Paddle Sports are located on Sidmouth beach offering you the opportunity to hire SUP's, bodyboards, sit-on kayaks and tandem kayaks are also available, rental includes a buoyancy aid and a complete 3/2mm wetsuit, that is a necessity for the cold weather you are likely to get. They also offer Paddle Boarding which, is one of the world's quickest growing water sports. It differs from any other water sports and is so much fun as well as being a great way to get fit, and is suitable for all ages from young to old. Or maybe you might be interested in taking one of their paddle guides along this beautiful stretch of coastline. In addition they offer surfing lessons and surf coaching when there are waves. You will get to see this stunningly beautiful Jurassic coastline from the sea and can marvel at its beauty, it is easy to see why the area has been designated a Natural World Heritage site. The guys who operate Jurassic Paddle Sports are so friendly and utter professionals, safety is paramount to them and you get a full safety briefing before going out on the water. There are a range of rental options and they are very reasonably priced. They are open from spring through to the end of September, seven days a week, depending on the weather. Stuart Line Cruises are based in Exmouth, this long established family business has been a popular attraction for thousands of visitors over the years. They offer a range of trips around the local coastline, to the start of the Jurassic Coast and River Exe. They have grown over the years and now have a fleet of three boats that are painted in bright easily recognisable colours and are a regular feature on the coastline. They operate daily dependent on the weather and tides, only being able to sail in high tides. In addition to their range of day trips that include cream tea cruises and canal cruises and more, they offer high speed boat rides for thrill seekers and can be hired for parties too. Their day trips go from a number of locations around Devon, full details together with the timetable can be found on their website. The cruise boats are clean and well maintained and you have the option of sitting inside under cover or out in the open on the decks, blankets are available if needed. On a trip you will see a wealth of sea birds, sea life and get unrivalled views of the fabulous coastline and see fishing boats at work, trips are accompanied by a running commentary that is interesting with lots of information. Drinks and refreshments are available to buy onboard and they are reasonably priced. You will find the staff to be friendly and attentive and they make sure you get the most out of your trip. Stuart Line Cruises are well organised and very professional and offer a great range of cruises around this stunning area of Devon, staff are brilliant and the cruises are excellent value for money and really enjoyable, they make for a pleasant few hours for all ages, highly recommenced, a first class attraction. Exmouth is the oldest seaside town in Devon. It is a beautiful estuary town in a glorious setting on Devon's south coast. It boasts the longest seafront in Devon with 2 miles of golden sandy beach, fascinating rock pools and sparkling sea, it truly represents British seaside at it?s best. Exmouth is the western gateway to the Jurassic Coast. The town, too, is full of life all the year round, with a spring arts festival, the Summer Fun Time programme, the Sailing Regatta, the October Carnival, the Christmas Cracker and, of course, the famous Christmas Day Swim. Scott Cinema is located in the Savoy building an old Victorian building, that has served as a movie theatre throughout the years, today it is home to a compact but modern cinema. You will find all new releases, blockbusters and much more on show here. It is an intimate and friendly cinema unlike some of the multi-plex's around. The premises are well maintained and always clean and tidy, and the seating is comfortable too. Prices are cheaper again than the multi-plex's offering great value, as you get a full cinema experience with all the latest technology but without the overinflated prices. They also run promotions and special events during the week so worth checking the website for these. Scott Cinema is a lovely local cinema offering a first class cinema experience in comfy, friendly surroundings and all for a great price. Tiger Charters are located in Exmouth and offer fishing trips aimed at everyone, from complete novices to experienced fishermen. The boat is clean and well maintained, carries all relevant safety equipment and has many conveniences including a toilet, hot water and a microwave, drinks and snacks are also available on board. The boat can accommodate ten passengers comfortably and carries all fishing equipment needed, the equipment is in excellent condition, all you have to take along is warm clothing and suitable footwear. The skippers are friendly, experienced and professional and offers instructions where needed as well as guidance. They offer regular trips during the period from March to November, weather permitting. There regular trips include cove fishing, reef fishing, wreck fishing as well as all day fishing, and mackerel fishing when they are in season. They will take you to the best fishing spots but cannot guarantee that you will catch anything that is unfortunately the nature of fishing. Tiger Charters are totally professional, friendly and approachable and their trips make for a fantastic experience that are excellent value for money, only made better by a large catch of fish, highly recommended. Exe Trial is a predominantly flat twenty six mile cycle trail that encircles the complete Exe Estuary. The trail is mostly off-road and allows offers users a safe route to explore this lovely area, as you travel along the route you will encounter lots of wildlife, flowers and fauna, as well as pass through some lovely riverside towns and villages, each with their own appeal and charm. There is a map available that you can download, it has lots of information on the trail. As the trail is mostly flat, there are a few minor hills, and smooth it can be used by everyone and offers a nice steady ride or walk. There are lots of stops along the way for refreshments with a choice of village pubs, cafes or restaurants. If you haven't brought along a bike don't worry you can hire a bike in Exmouth or Topsham. The trail has stunning views and is so peaceful too, highly recommended as you get to see lots of wildlife in the nature reserves and lovely coastal views, it is suitable for everyone as it is away from the road and therefore safe for children to walk or cycle along. Peak Hill Llamas is a unique and novel way to take in the beautiful walks along East Devon's stunning Jurassic Coast. When you arrive you are firstly introduced to these majestic and beautiful animals, you get to know them by grooming them and leading them outside for some training, on how to handle and lead the llamas, then you set out for the walk and it is during this time that you discover that these animals are quite headstrong, they each have their own character, they only proceed at their own pace, frequently stop but, nevertheless it is thoroughly enjoyable as you connect with the llamas, see magnificent countryside and get lots of fresh country air. What enhances the experience is the owner Maggie she is devoted and passionate about the llamas and is so jolly and friendly she puts you totally at ease. On your return you are awarded with a delicious cream tea what a way to end a fantastic walk. Walking with llamas is a fun family friendly activity that everyone can get involved in. There are a choice of walks to choose from and although most include uphill walking, flatter walks can be organised if needed. Peak Hill Llamas should not be missed if in Devon it is a fun and unusual way to see the stunning countryside here. Hawkbridge Bird of Prey Centre are a family run business and is located close to the pretty seaside town of Exmouth. 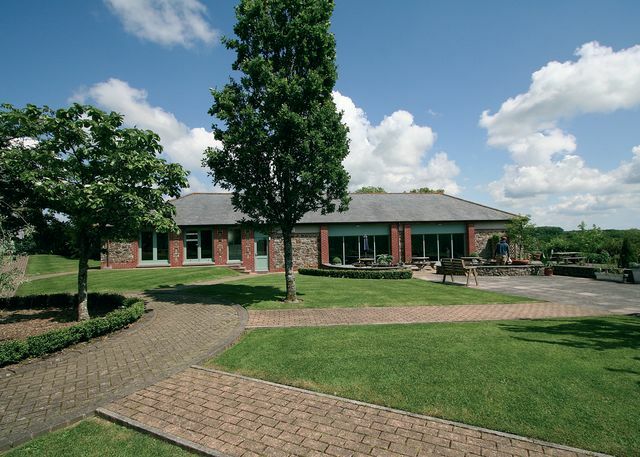 They are situated within more than one hundred acres of lovely countryside and beside a magnificent deer park. They offer a range of experiences that vary in duration from one hour to a five day intensive course, and from personal experiences to group events. The experiences are aimed at all ages that make for a informative and fun day out, you also have the opportunity to hold these magnificent birds. It is necessary to make an appointment for the experiences. There are a number of beautiful birds of prey here including owls, hawks, kestrels, eagles and many more. They also put on excellent display shows where the birds get close and soar through the skies above you, there is a running commentary that has lots of information about the birds involved. Staff are committed, friendly and have a real passion for what they do and is clearly evident and the birds are well cared for. Hawkbridge Bird of Prey Centre offers a professional and well organised experience that is excellent value for money and thoroughly enjoyable for everyone. East Devon Art is an art school that is located along the beautiful coastline in the town of Sidmouth. They offer a range of classes from one day workshops to courses that vary in length from 2 to 5 days, covering a diverse selection of materials catering to all abilities. In addition it serves as an intimate gallery, that is open every weekend from 11am to 5pm. The gallery has an inviting and relaxed atmosphere and the gallery is bright and airy. There is a diverse collection of original works from local artists, with a number of them available to purchase. They hold frequent exhibits so there is always something new to see here. You will find the staff to be friendly, approachable and knowledgeable about the works on display. The quality and standard of work displayed is excellent and there will be something to appeal to all tastes. If you are interested in seeing some art or learning a new skill or brushing up on your talents then East Devon Art is the place to come.